It’s a Big Green Egg Thanksgiving! Planning your Thanksgiving menu? 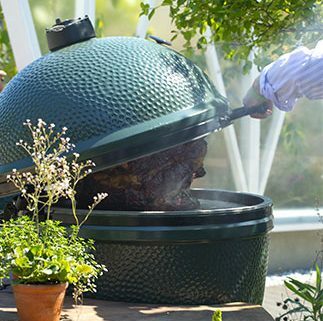 Try something different this year, and make some – or all – of your dishes on your Big Green Egg and make the holiday a Big Green Egg Thanksgiving! First things first… Thanksgiving wouldn’t be Thanksgiving without a turkey. A handful of pecan chips will help give your turkey a great, smoky flavor and also a deep, brown color. Expecting a smaller crowd, or looking for something different? Try Cornish Game Hens – or Rock Cornish hens as they’re sometimes called. These are young (usually less than 5 weeks old) chickens. They cost a little more than regular chicken per pound but at a 2lb average you’re still only paying around $3-4 bucks per bird. Looking for an appetizer? How about Bacon-wrapped Shrimp? A meal isn’t a meal without delicious side dishes, like Roasted Hatch Chile Mac N Cheese. Grilled Romaine with Maytag Blue Cheese is another quick and surprisingly tasty side. And for desert – Peach Cobbler! Getting hungry? We are! 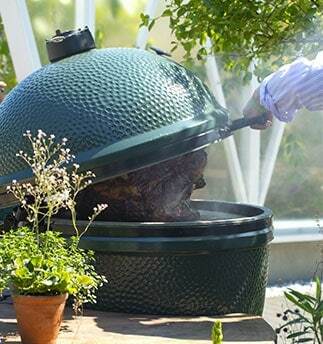 Maybe you can have your Big Green Egg Thanksgiving now – and again later!! https://southeastspas.com/wp-content/uploads/2017/02/xxlarge-inner3.jpg 344 323 Stacy Fender https://southeastspas.com/wp-content/uploads/2018/03/Copy-of-South-East-Spas-Logo.png Stacy Fender2017-10-23 07:00:442018-08-01 01:59:33It's a Big Green Egg Thanksgiving! This fall or winter, upgrade with a cover lifter Want to give an amazing gift? Try hot tub accessories!